Streets of Bedlam: One Day Left, New Milestone, Soundtrack? When the Streets of Bedlam Kickstarter launched at the end of November, I had modest goals for it. I just wanted to cover the cost of illustrating and producing the first book. But now, thanks to your support, the Kickstarter blew past that goal and is on its way toward five figures! As a last-minute push toward that number, I’ve decided to add a new milestone and with it a new incentive to back the project. If the Streets of Bedlam Kickstarter reaches $10k, acclaimed composer and sound designer Ed Lima will create an original soundtrack for the game! 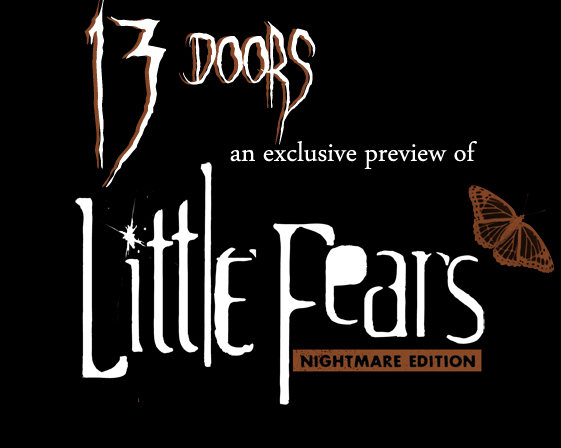 Welcome to the thirteenth and final installment of 13 Doors: an exclusive look behind the door at the upcoming Little Fears Nightmare Edition – The Game of Childhood Terror. Last Thursday, I received a package in the mail. It was small, about 7×10, and around an inch thick. I peeled back the perforated strip and unfolded the cardboard with little regard for ceremony. Inside, sitting before me, was the culmination of months of hard work, late nights, long discussions, and a lot of called-in favors. 192 pages of blood, sweat, tears, wood pulp, and ink. It was my proof copy of Little Fears Nightmare Edition. Welcome to the twelfth of the 13 Doors: an exclusive look behind the door at the upcoming Little Fears Nightmare Edition – The Game of Childhood Terror. 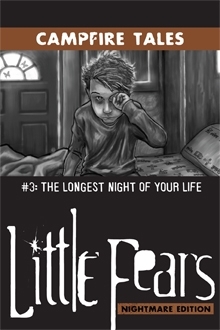 I hope you all enjoyed last week’s PDF preview of Little Fears Nightmare Edition. Because, this week, we have another excerpt from the book. The following seven pages are from Chapter Three: Someone to Watch Over Me, the game moderator chapter. Click the link below to download the PDF. Welcome to the eleventh of the 13 Doors: an exclusive look behind the door at the upcoming Little Fears Nightmare Edition – The Game of Childhood Terror. 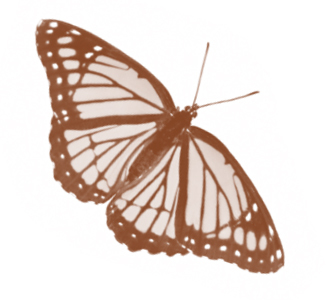 This week we’re going to take a cue from last week’s preview and show you something directly from the book. But instead of a cut and paste, let’s check pages straight from the book. The following seven pages are from Chapter Two: To Be Young Again, the character creation chapter. Click the image below to download the PDF. Welcome to the tenth of the 13 Doors: an exclusive look behind the door at the upcoming Little Fears Nightmare Edition – The Game of Childhood Terror. 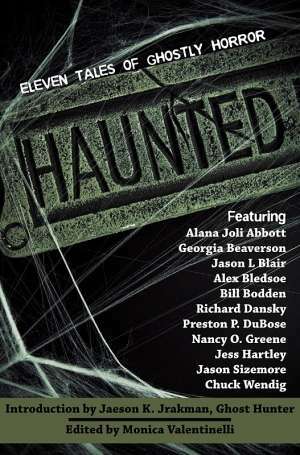 So far in this column, I have talked about how Little Fears has changed, who the characters are, a little about the Monsters and Closetland, things that have inspired the design and fiction, shown some of the art that will be in the book, and revealed both Veronica’s excellent cover and the release date. I’ve pretty much covered everything. I can’t think of anything else to say. Or, I suppose, I could show you what’s actually in the book. Welcome to the ninth of the 13 Doors: an exclusive look behind the door at the upcoming Little Fears Nightmare Edition – The Game of Childhood Terror. It’s strange to be this close to the release of Little Fears Nightmare Edition. I’ve been talking about it for years and thinking about it for even longer. And now it’s just a little over a month away. It’s at the point now where the things left are mostly business- or marketing-related. (This article for example.) Pre-orders for the book and PDF open today and that’s nerve-wracking. This is the moment where I find out if Little Fears Nightmare Edition has been worth all the work, whether this path makes sense. This is the official entry of the book onto the market. After pre-orders come orders and after a while it’ll simply be another product for sale. Welcome to the eighth of the 13 Doors: an exclusive look behind the door at the upcoming Little Fears Nightmare Edition – The Game of Childhood Terror. Last week, I gave a glimpse at the artwork that will be in the final book. But I left out what is arguably the most important visual element in the entire game: the cover. Despite the oft-repeated warning, it’s hard not to judge a book by its cover. When you’re staring at a wall full of books, you don’t much to go on. 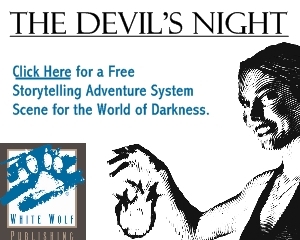 You have the title, the author, the price, the back cover text, maybe a blurb or two, and the picture on the front. The cover of the original Little Fears was spooky and evocative. It played perfectly to the original Little Fears’s dark tone. Little Fears Nightmare Edition is a bit of a different animal. Still creepy, still horrifying, but more about action, more about doing. Welcome to the sixth of the 13 Doors: an exclusive look behind the door at the upcoming Little Fears Nightmare Edition – The Game of Childhood Terror. World-building can be an incredibly fun part of the game creation process. It’s also what makes working on a game set in modern day, such as Little Fears Nightmare Edition, a strange creature. I mean, I’m not going to reinvent suburbia here. No one needs a detailed explanation of an apartment building or the function of an elementary school (I’ll leave that debate for another time and place). Cell phones, remote controls, video games, heelies, and strip malls are all part of modern American culture. While players can easily set a game in 1970s Africa or in a Victorian boarding house, that’s not something that I’ll be covering in the mainbook. You can set the game in their hometown (or their home country) where they will provide the detaiils. My job as the designer is to give folks the tools to take whatever reality they decide and twist it just the right amount for their game. Welcome to the fifth of the 13 Doors: an exclusive look behind the door at the upcoming Little Fears Nightmare Edition – The Game of Childhood Terror. I knew from the beginning that I wanted Little Fears Nightmare Edition to be different than its predecessor. The original Little Fears was great, and I love it warts and all, but simply remaking the game held little interest for me. I figured, the original is out there, people have it and are playing it. I don’t need to do it again. So when it came to creating Little Fears Nightmare Edition, I decided to go back to basics. The core premise of Little Fears is simple. My elevator pitch is, “It’s a game about kids fighting monsters.” Which it is. But that premise is open to a lot of interpretation. I took a long hard look at what that meant to me. I had an inkling already and as I pushed and pulled at it, it started to take shape. I knew I was going to have to kill a lot of darlings in order to give the Nightmare Edition its own identity and, frankly, to make the type of game I wanted it to be this time around. Welcome to the fourth of the 13 Doors: an exclusive look behind the door at the upcoming Little Fears Nightmare Edition – The Game of Childhood Terror. If you’ve been following the updates on littlefears.com, you’ve seen that I’ve been talking about some of the books and movies that inspired Little Fears Nightmare Edition. I want to expand on that and not just talk about the things that inspired me—which I will continue to do on the website—but talk about what I was looking for in that inspiration. Since before I was in its target audience, I’ve been drawn to that nebulous category called Young Adult Fiction. Throughout my childhood and teenage years, I soaked up all I could, reading such books at Jane Yolen’s Pit Dragon Trilogy, the Not Quite Human series, Dear Mr. Henshaw by Beverly Cleary, and Piers Anthony’s Xanth novels. We continue the 13 Doors series today. 13 Doors is an exclusive look behind the door at the upcoming Little Fears Nightmare Edition – The Game of Childhood Terror. Let’s face it: the thing that sets Little Fears apart from other horror games isn’t the setting. Or the Bogeyman or the monster under the bed. Sure, the fiction of Little Fears helps differentiate it from other games but the main difference, what really makes it unique, are the characters.